Thread: Is there a decent version of the Colt 3x20 scope? Not looking for a vintage scope. 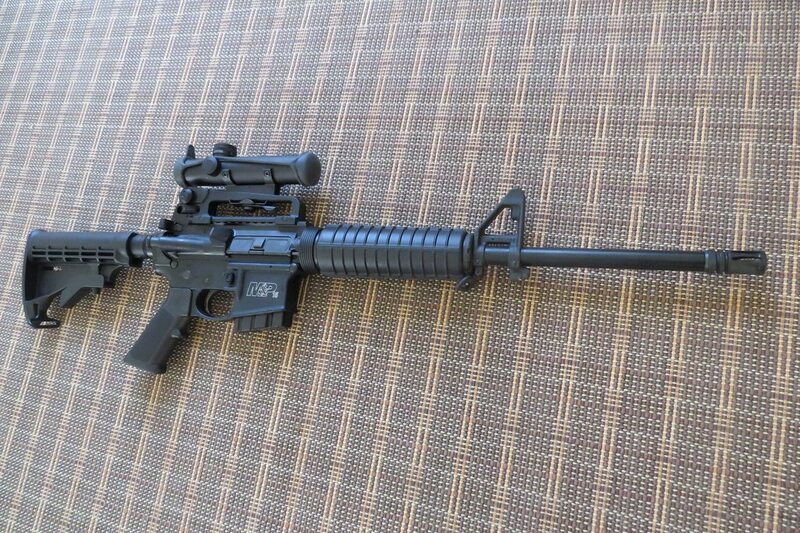 But want that style of scope for my old Colt SP1. I have had two that look like it. One broke. It workers and zeroed fine despite a smidge of can’t when mounted. I got about ten years of use out of it then it would not lock in place anymore. My current one was fine for a couple of years. I was just at the range today and it has decided it wants to group six inches to the right. And no adjustments back left are working. It was on before this. It seems like these are all NC Star or something and all cost like 80 bucks. Is there a decent option. I hit the range for my big SP1 vs Mini14 80s day shootoff in my GTO blaring 8 tracks in Ray Bans and shoulder length hair. Totally thre off the day. Brownells is listing 4x carry handle scope. Supposedly made in Japan. Some discussion about it on TOS in the retro forum. The Brownell's version is supposedly made by the same company that made the original Colt scopes. Price is not bad at $299 either. I was hoping there was a good quality one. Japan Optics/Hakko is who I believe made the originals. Damn, already out of stock and no back order. Brownell's often does that with newly introduced, but not yet released for sale items. Keep checking and watch for your chance to pre order the scope. Brownell's often takes pre orders of new items at a reduced price. I will be back home next month. I will try and remember to get a look at dad's original colt for some more info. I bought a $75 Barska fixed 4x, it works perfectly and looks like it will last forever The cheapest scope I have ever bought and one of the best, + I can still use the iron sights but doubt if I ever will. The lenses are much better than I was expecting, and the adjustment clicks are positive. ........ The only downside is that I have trouble shooting eggs at 100 meters due the thickness of the mil dot reticle, it covers the egg. I can't see how this scope can go wrong unless severely abused, it looks rugged. Being fixed power it's really simple, and what with the mil dot reticle it's not even necessary to use the BDC, just zero at 100 meters and leave it alone. Last edited by Mick Boon; 04-17-19 at 10:56.